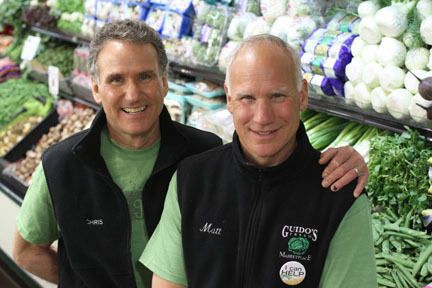 Guido’s Fresh Marketplace has been feeding an enthusiastic, smart, food-loving crowd for 40 years. What a delicious experience it has been! When we started in 1979, our motivation was simple: We loved good food, and we were hungry. This is still true today, and we remain steadfast in our collective dedication to bringing Guido’s customers the very freshest, highest quality foods that we can get our hands on. Visit our stores for the very freshest in produce, meat, seafood, and healthy prepared foods. We proudly offer natural grocery and wellness products selected to make you feed good!! Whether you need serious provisions for your culinary adventures or a wholesome grab and go meal, you'll find it at Guido's.